From 25€ per night - 18 rooms of 5 types. 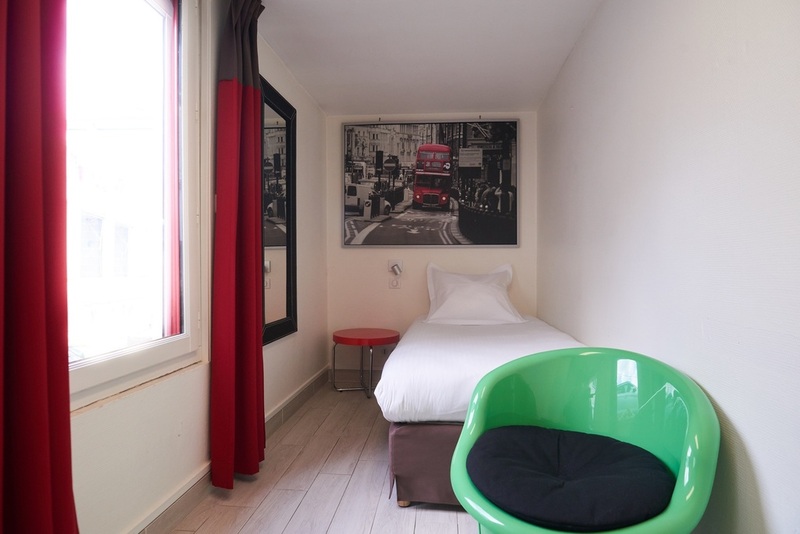 This room for 1 person with 1 single bed combines charm and comfort with a cosy decor and warm colors. It has one bathroom with shower, flat screen TV and a view on the courtyard. 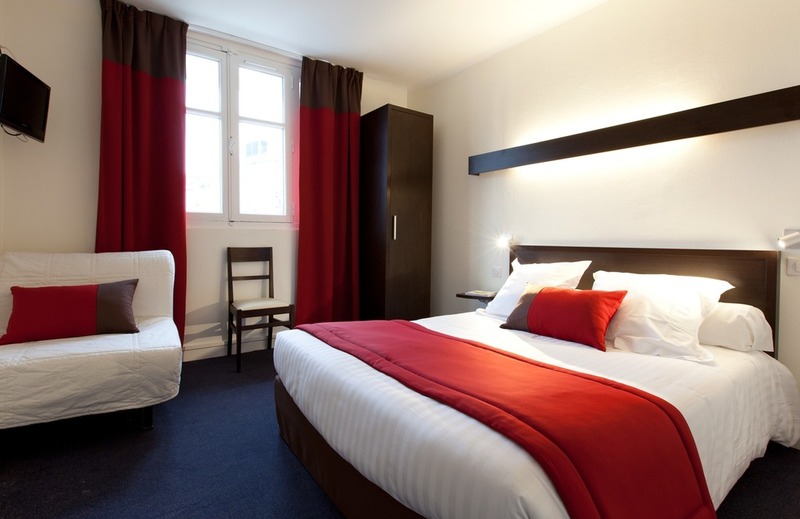 This room for 2 persons with 1 double bed combines charm and comfort with a cosy decor and warm colors. It has one bathroom with shower, flat screen TV and a view on the courtyard. This room for 3 persons with 1 double bed and 1 single bed combines charm and comfort with a cosy decor and warm colors. It has one bathroom with bathtub, flat screen TV and a view on the courtyard. 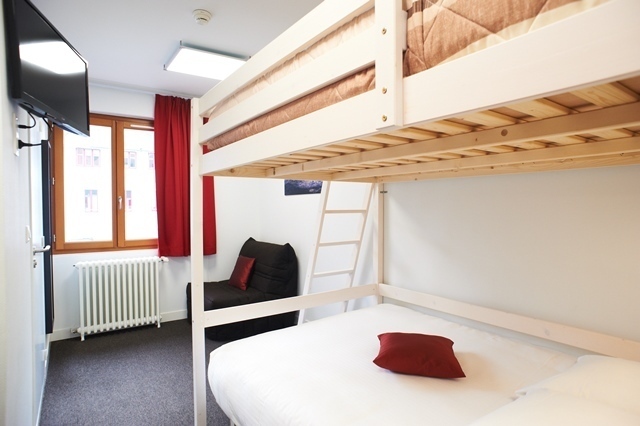 This room for 4 persons with 2 bunk double beds and a single bed combines is ideal for friends and families. It has one bathroom with shower, flat screen TV and a view on the courtyard.